Nacee composed NDC’s ‘Onaapo’ campaign song? Many Ghanaians – both followers and non-followers of the ruling party have applauded one of NDC’s campaign songs, “Onaapo”. The song according to critics is one of the best songs released in 2016 ahead of the election but one question many have asked is who composed the song. As at now, the man behind the song, which has gained massive airplay on NDC campaign platforms is not known but Adom FM presenter, Mike 2 seems to know the voice behind the NDC song. 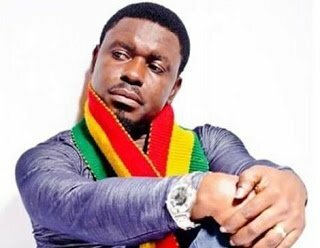 The host of Adom FM’s entertainment show, Adom Entertainment Hall has mentioned renowned gospel musician Nacee as the man behind the popular NDC campaign song. According to him, he cannot fathom why NDC is taking glory of the song without giving credit to the composer, Nacee. He expressed disappointment in NDC Communicator, Kwaku Boahen for failing to applaud the gospel musician for the song but took all glory when speaking on Peace FM entertainment review Saturday afternoon. Mike 2 dared Nacee to refute the claim that he composed the NDC campaign song. You are hiding the composer and taking all the glory saying the song is a hit for the party. Why don’t you want to give glory to Nacee because we have heard that he is the person behind it? I was very disappointed when I listened to his interview on Peace FM. Nacee has heard all the allegations all these while so why has he not come out to deny it if it is false? Why is it that Nacee doesn’t want to come out to tell the world that he is the voice behind the song and why is NDC not willing to mention Nacee’s name? It pains me that Nacee has done a very beautiful song for it to become a hit for the party and they don’t want to give credit to him.” Mike 2 said on Saturday afternoon. Management of Nacee refused to comment on the allegation when contacted.